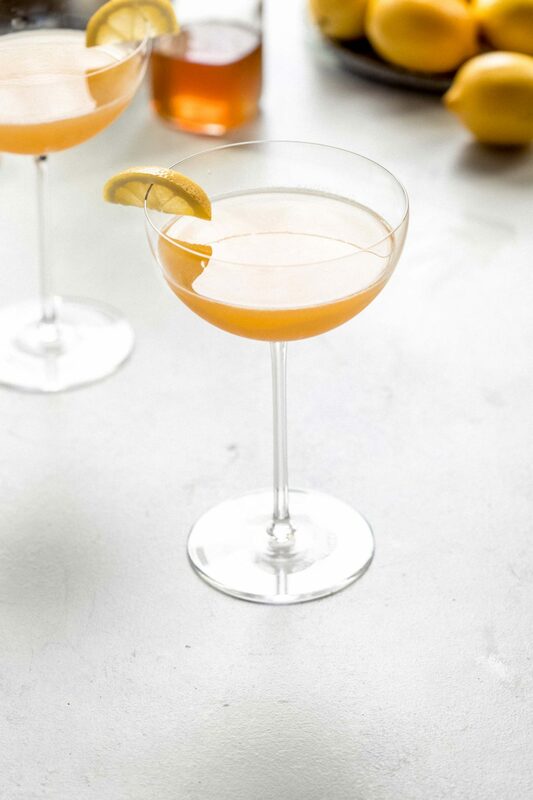 Gin, lemon juice, orange juice & honey simple syrup combine in this delicious Bees Knees cocktail. Served straight up in a martini glass. Lately, I have been noticing lots of cocktails featuring honey popping up on bar menus around town. 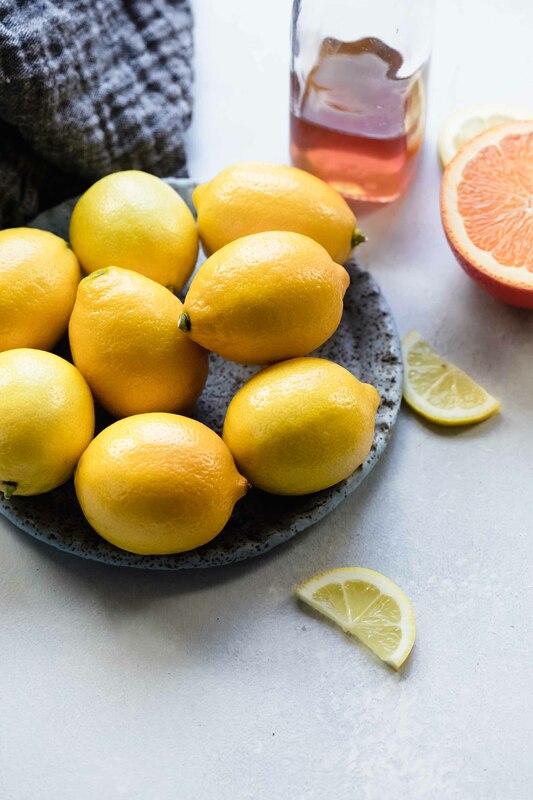 Most feature some type of citrus along with the honey and are served straight up. Perhaps bartenders are taking a cue from the Hot Toddy – A classic wintertime drink consisting of whiskey, hot water, honey and lemon and believed to cure colds. It does make sense though. Honey is a sweetener and can function in any cocktail much like a simple syrup would. 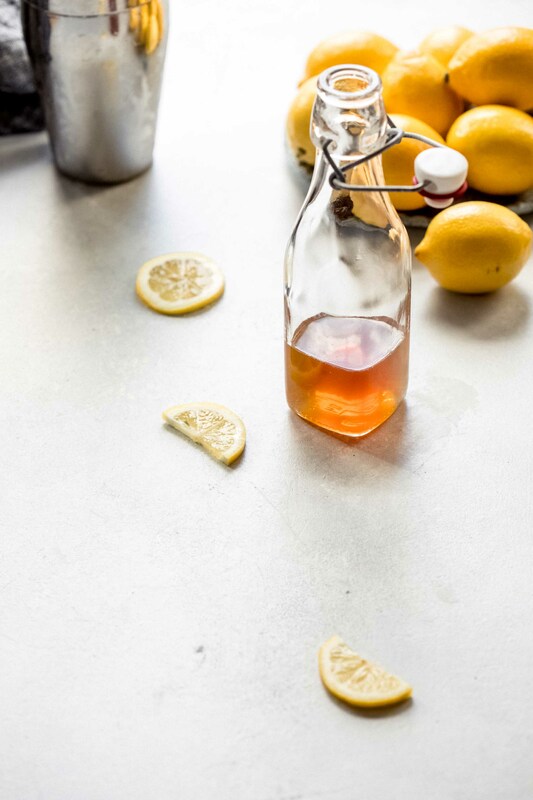 As the base for this Bees Knees Drink, I’m making a honey simple syrup. Simply combine equal parts honey and water in a small saucepan. Heat over medium until well blended. This honey simple syrup will last, stored in the refrigerator, for up to one month. I’m combining the honey simple syrup with some gin and fresh squeezed lemon and orange juice to make this Bees Knees cocktail. 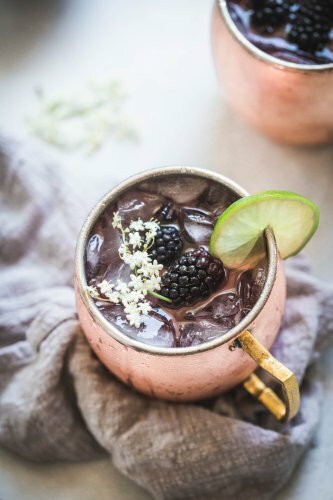 If you’re not a fan of gin, you could also use vodka or bourbon in this cocktail. What is in a Bees Knees Drink? Combine honey simple syrup, gin, lemon juice and orange juice in a cocktail shaker filled with ice. Shake vigorously and strain into a cocktail glass. Enjoy! 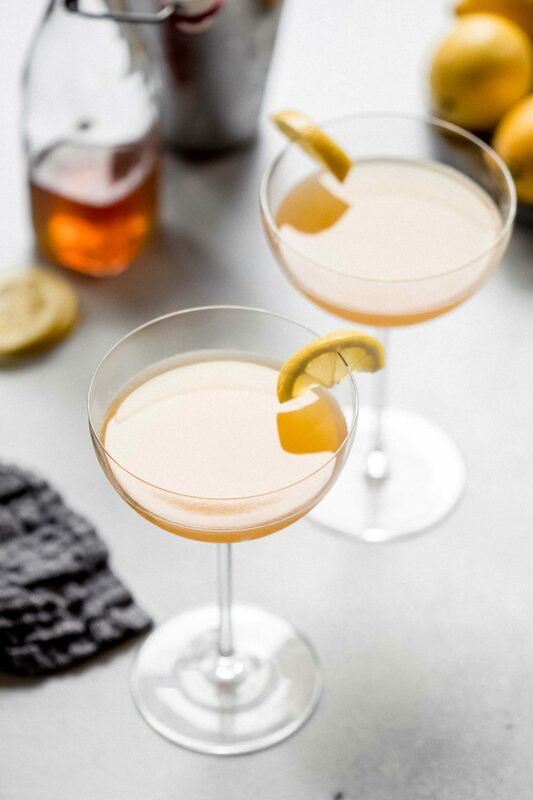 Gin, lemon juice and honey combine in this delicious Bee's Knees cocktail. Served straight up in a martini glass. Combine water and honey in a small saucepan. Heat over medium, stirring often, until the mixture is smooth. Remove from heat and cool to room temperature. 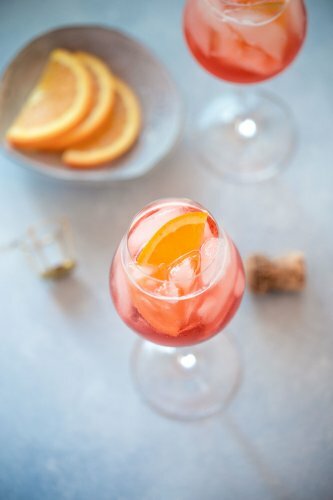 Combine 2 ounces of the honey simple syrup, gin, lemon juice and orange juice in a cocktail shaker filled with ice and shake vigorously for 30 seconds. Strain into a small chilled cocktail glass and serve. Reserve remaining honey simple syrup for more cocktails. 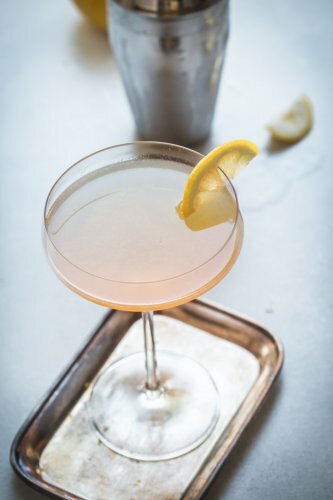 If you loved this Bees Knees Cocktail recipe I would appreciate it so much if you would give it a star review! 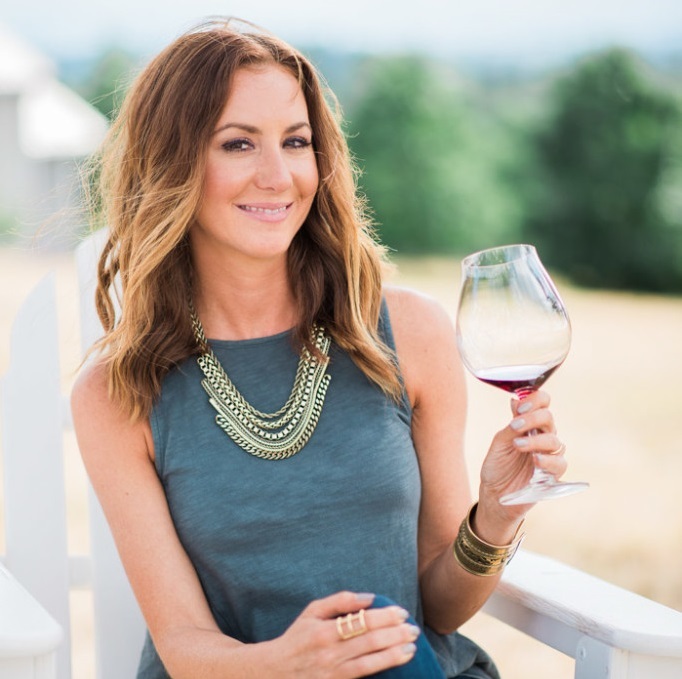 Also, be sure to snap a picture of your finished cocktail and share it with me on Instagram using the hashtag #platingsandpairings. This recipe was originally published in January 2015. It was updated in April 2019 to add new photographs and update the content. The original cocktail recipe remains the same. Enjoy! 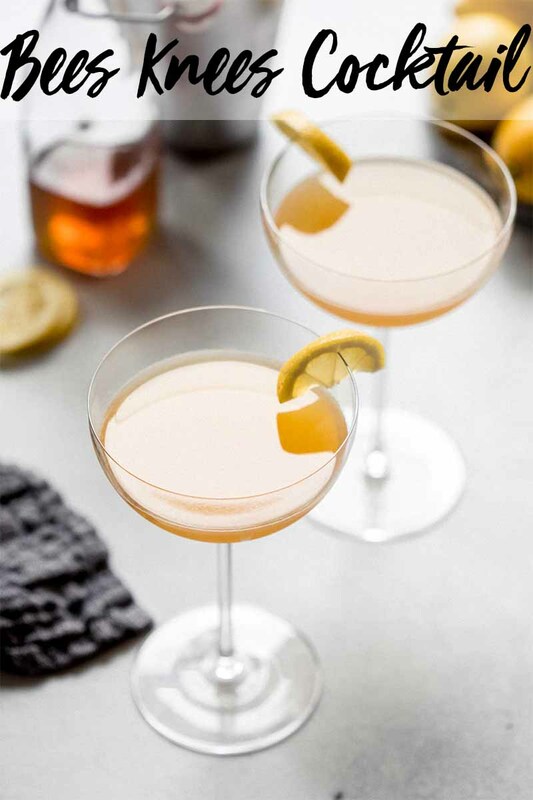 I’m stoked to see a cocktail made with honey- When I was in Japan, I had some cocktail with honey in it which I’ve been dying to recreate- This looks perfect! Thanks Arman – Those Blueberry Muffin Energy Balls you just posted look pretty perfect as well! Absolutely gorgeous photo! Can’t wait to try this, just pinned! So perfect for the summer! Thanks Krista! Summer can’t get here fast enough for me! I’m loving the cocktails with honey that are so popular right now. And this one looks stellar!! Yum! Me too!!! 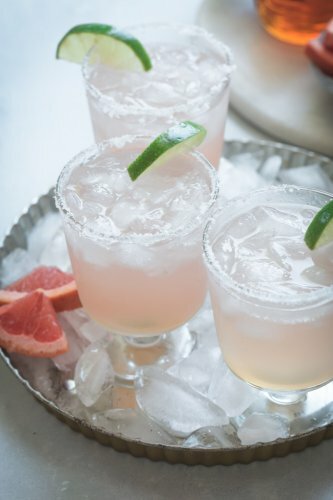 I also put the honey syrup to good use in these Paloma Honey Cocktails recently. Can’t get enough!!! We have a TON of honey from my backyard bees, and I’d never thought of making honey simple syrup with it. Thanks for the great idea! I see many delicious honey-flavored cocktails in my future. I do too Catherine! You are so fortunate to have fresh local honey! Thank you so much Pech! Love your recipe! Will be making again. Gin is one of those liquors I’ve been only starting to appreciate recently. I’m loving gin with the addition of bright citrus. And I love the addition of fresh honey simple syrup to sweeten it up, and I made enough to use for next time as well. Ciao! Holy moly, this is like a cold hot toddy, but so much better, because you can enjoy it without the sniffles and misery. Also I love gin soooo much better than whiskey (for hot toddies). I’m pretty sure this is going to be my summer drink this year! And of course GORGEOUS as always! I love the idea of swapping gin in to a hot toddy too Mary! I absolutely love bees knees! 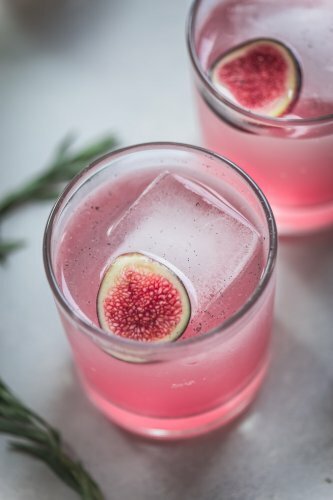 Such a simple cocktail to put together, but so delicious!